No Feedback UnLTD takes the show out of arts settings and into schools and community centres. The first phase of this project was funded by Arts Council England and delivered in partnership with People’s Palace Projects. Children, young people and adults had the opportunity to explore the subjects of discrimination and prejudice in different, creative ways and to create their own responses. By identifying the 4 key elements of No Feedback, we devised a workshop programme through which groups can generate their own performances that discuss and challenge issues of prejudice and injustice, which are significant to them and their communities. 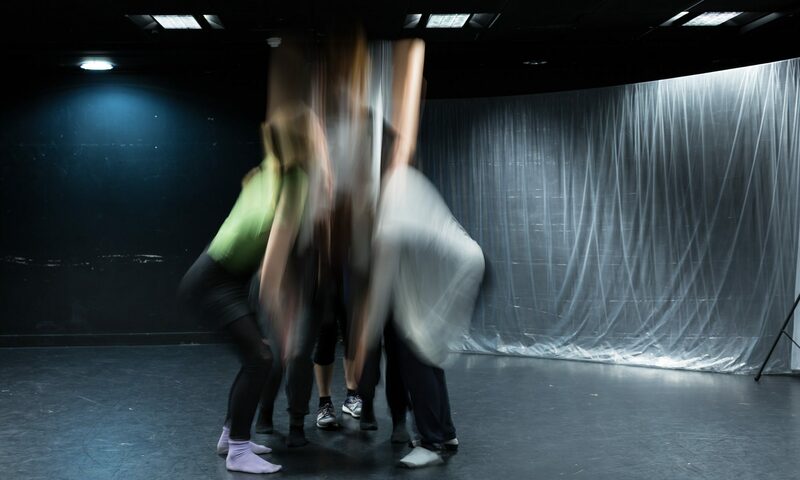 After having the opportunity to watch No Feedback, groups followed this programme to devise and perform original works on a variety of topics, all of which challenge discrimination in their particular contexts. Students at the Mulberry School for Girls created and performed a show about what would happen if all teenagers suddenly disappeared, addressing their experience of being ‘othered’ due to their age. Studio 3 Arts staged a performance about the gentrification of their area and the consequences of who is being excluded from it. Acland Burghley’s performance-experiment focused on what the factors are that influence us when making a decision about what we wear, and the consequences of this in terms of social inclusion. All of these performances sparked discussions, debates and conversations about inclusion/exclusion. “I learnt that people can be easily manipulated and that subtle things (like wearing lab coats or acting like robots) can have a huge impact to confuse children.” Participant feedback. “Before I think we used to accept it, like if my parents said ‘not under my roof’ or ‘you’re young you don’t understand’ something like that but now …I kind of speak out against it (discrimination) – I don’t just accept it and it made me react differently to it. Instead of feeling wary I do speak out.” Participant feedback. “(I am) a lot more confident about myself, a sense of belonging to something. I can achieve things… Taking part in the project gave me a sense of purpose.” Participant feedback. Acland Burghley School, Mulberry School for Girls, Studio 3 Arts, Queen Mary University of London, People’s Palace Projects.